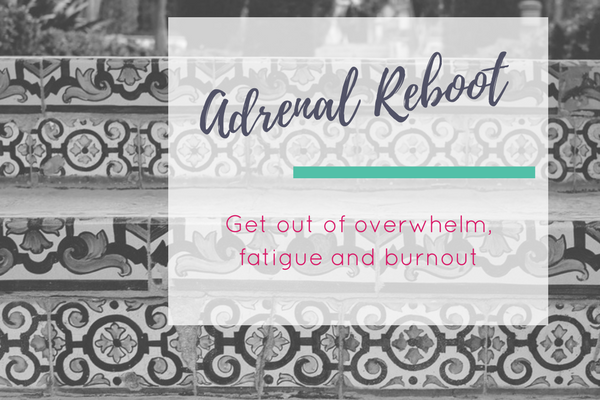 Adrenal stress has a profound effect on mind and body. learn the lifestyle changes and functional nutrition to Move away from exhaustion and overwhelm. use food as medicine and soothe your nerves. In many ways, the adrenal glands are the missing piece in women's health. You can likely relate to being pulled in many different directions, maybe sacrificing sleep and self-care to get through the day. The problem is that constantly pushing a high-cortisol state is responsible for tremendous wear and tear on the body. Affecting mood, digestion, blood sugar and immunity and leading to feelings of overwhelm, exhaustion and burnout. Feeling tired or tired, but wired. Difficulty waking or feeling tired after a full night's sleep. Poor memory and brain fog. Dizziness or lightheadedness after rising from a lying or seated position. Digestive issues (gas, bloating, constipation, nausea, acid reflux). The good news is that there's a road back. Back to yourself and back to feeling energized and calm. Thank you. Your mini guide is en route to you. Please note, it can take up to 15 minutes for the system to deliver to your inbox. After dealing with a chronic health issue as a young adult and changing paths to pursue natural medicine, I help individuals who want to get to the root cause of their symptoms using a whole-person and natural approach.